After a year and months of searching where can I find a balik bayan boxes. I finally get a hold of one near in my location. Thanks for a friend, a fellow Gensan neighbor who used the same cargo or freight to send items/ gifts to Philippines. She's from Ohio, and I have to call at least 3 branches just to get the nearest location in my place. And after calling patiently the 3 numbers I finally get one. Good thing, because the Agent's Forex Cargo is a Filipina, and my batch mate in Notre Dame of Dadiangas University, same year. Isn't the interesting? I am really glad that after a year of being here, I finally found someone closer [45 mins travel] and she's from Gensan. 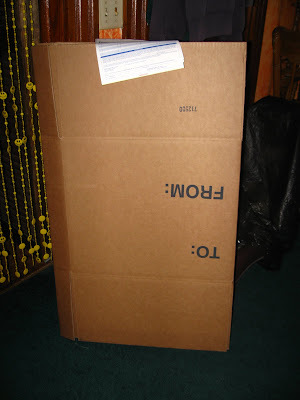 Aside from that, I finally got the boxes that I needed for shipping items/gifts to my family way back in Philippines. I can't wait to get this box filled up and ship it right away.